For Jay Schrader, golf became his life's passion at age 16. He was ranked #1 junior in state of Florida and #2 in the United States at ages 16 and 17. Jay attended the Benjamin School (High School) that was surrounded by talent. In college, Jay won 6 collegiate tournaments along with winning NCAA II in golf and baseball. Following college, he went to play on the PGA tour, Pro-Am's and the mini tours around the country. Following this he preceded to help put St. Lucie West Country Club in South Florida together as Director of Golf. He arranged junior clinics, obtained the International Women's Open, executive outings, golf schools and specialized individual lessons including physically and mentally challenged individuals. Jay did a great deal of PR work with the SLW Chamber of Commerce. He put golf packages together along with motivating lessons for several musical bands that came to town and perform concerts at the St. Lucie Mets Stadium as well. Jay became one of the top 25 teachers in the United States and a top club fitter and designer #2 for the Professional Club Makers' Association. 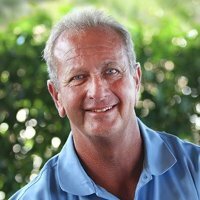 Jay worked at the PGA Learning Center as a top instructor to executives, C.E.O. 's., celebrities, and professionals. He would fit golf clubs to you or retro fit your clubs. He showed players how golf can teach life lessons and reduce stress. He also integrated physical fitness to help produce a better life balance for men woman and advanced golfers and beginners of all ages. His many years of teaching and playing experience and deep commitment to the recovery community has positively impacted the lives of many and their families.